Young people from our Global Family have become inspiring global leaders. Children of the Earth is giving them a voice by opening the doors for them to speak at International Symposiums, where only elders were speaking before. We have been invited to present at different conferences and events around the world. National Association of Interfaith Network, 25 – 28 June 2009, Kansas City, U.S.A. The Fourth triennial International Conference and Gathering of the Elders of Ancient Traditions and Cultures that was held at the picturesque, serene and lively campus of Dev Sanskriti Vishwa Vidyalaya (DSVV), Haridwar, India from the 4th to 7 th March 2012. The theme of this conference was ‘Nourishing the Balance of the Universe’. Elders associated with COE took part. Every Hour for 24 Hours! The objectives of the seminar are: To identify the current challenges of teacher education in solving the “human problems”; to update the teacher education according to global norms established by UNESCO and other bodies; to develop skills among teacher trainees in human values, harmonious living with co-existence; to promote inter-disciplinary research activities for education for peace and harmony; to create awareness among teachers for development of activities for peace and harmony education; to frame an outline of the curriculum of teacher education for peace, harmony & human values; to articulate and identify the activities, contents, programme for teaching peace and harmony; to establish an International Centre of Teacher education for peace and harmony. Dr. Nina Meyerhof will be offering a workshop during the seminar focused on sharing the experiences and learning of the organization. 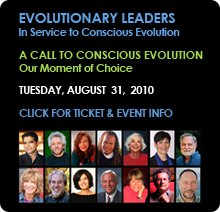 Strategies and models for a time of transition containing the topics of ecology, economy, living together and awareness. Karoline Buys presented the work with youth of Children of the Earth within the area of awareness. Corina Simon supported and increased presence of COE to the gathering. 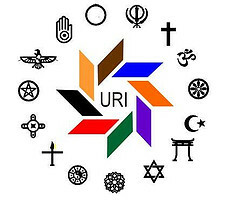 On Sept 8th, a diverse group of some of the USA's leading thinkers from science, religion, arts, and business, will gather in N.Y. around the 10th anniversary of 9-11 to reflect on a new way forward, by sharing their wisdom through traditional stories both sacred and secular, and scientific discovery, to develop a shared narrative to help reweave the fabric of our society. Karoline Buys and Dr. Nina Meyerhof are panelists at the Roundtable. From Dr. Nina Meyerhof: "Attended the Universal Peace Celebration in Switzerland sponsored by the Woscheks at Schweibenalp. For my personal journey the high point was meeting and having ritual Maoori work on me done by Aunti Wai ..shaman.She explained the 13 grandmothers work with me and i also am a grandmother with a large eagle flying above me moving with me around the world to share empowering love for peace. To gather we plan more work for the upcoming generation. Hopefully she will work with the Young Visionaries for 2012 in Guatemala. Her breath of fire is strong..and she carries great medicine. It is good to have another woman carrying the spiritual elder torch. A group of Mayans also came and did ceremony invoking the ancestors and sharing the prophesies. During this time there presentations by 2 strong youth..one from Kenya who dreams the impossible into possible such as growing food on dirty old plastic bags with his friends to a youth from Brazil who serves his flagella friends through his music and feeds them..youth serving our world. Let us support them....."
VIŚVA ŚĀNTI YAJÑA signifies a Ceremony of Prayers and Offerings for Universal Peace. From the 4th to the 8th of August 2011, this ceremony will be conducted in the South of France by Śrī Tathāta, a sage of exceptionally high consciousness from Kerala, South India. The intention of the VIŚVA ŚĀNTI YAJÑA will be to uplift human consciousness on the individual, collective and universal planes, so that our world may become one of harmony and peace. This ceremony will consist of chanting Vedic hymns, along with symbolic offering rituals. "On the last visitor’s day I presented on Children of the Earth. The powerpoint was focused on spiritual activism and spiritual leadership of youth carrying this torch for the new understanding of systems change and world actions. People responded so very positively to our work. I wished I had more time to work with those who approached me. There are many young people here seeking and many parents wishing their young ones to have such COE opportunities. Together we can build a new civilization. So we are now daydreaming trainings here for the Western young people. Beginning the TREK to the Middle East to Learn and Serve.Our Journey to Jordan----- Children of the Earth dedicates itself to youth forming a movement for positive change and becoming the voice of evolving conscious unity of humanity. Children of the Earth Board members, Diane DeTerra and Patrick McCollum and I (Nina Meyerhof ) travelled to Jordan to lead a workshop with Common Bond Institute on Transforming Conflict: Sharing tools for Cross-Cultural Dialogue. Our workshops addressed Youth as Social Activists Transforming Spirituality into Leadership. Children of the Earth’s focus is TRANSCENDING CONFLICT using our model to look holistically and from above, seeing there are parts that equal the whole and thus the answer for a solution lies in that pattern rather than separating out right vs. wrong or working towards compromise. Jordan’s population consists of 30 % Jordanians and 70 % Palestinian immigrants. At this CBI meeting in addition to some Westerners it was attended by Jordanians, Palestinians, Lebanese, Syrians, and some Jewish Israelis. The combination caused much upheaval, as the groups did not know the Jewish people would be participating. This led to much discussion and upset. Naturally our approach was and is different. Our focus is to find the point of unity where we are one humanity. Most of the other workshops focused on dialogue and how to become intimate with each other’s perspective. We, instead , offered a powerpoint and then went into REFLECT. Amazingly we found the anger dissolve and the group be more unified. We then did a CONNECT on Listening skills. One of the characteristics we were told was that these Middle Easterners do not learn to listen to each other in their dialogue process so this was an exceedingly meaningful exercise. In addition, realizing that many of these youth pray 5 times daily it seemed going inside was an easy step and is an internal home in a certain manner. Thus the REFLECT exercise that we offered was to say I am not my body, not my emotions, not my mind. Who Am I? seemed so natural to them. There was little resistance. All this led to further amicable relations. The following day to our surprise a larger group reappeared and wanted more. There were some members who had come the prior day and when we reviewed what occurred a few had total recall. This so impressed us. The group shared who they were as people and their understanding of spirituality and expectations. Then they asked recalling the powerpoint .how to create ACTIONS. We determined to identify skills within the group from diplomacy from Patrick to writing skills to media expertise etc…then determining to set some goals and from this what Action could be planned for helping create positive social change. We were stopped due to time constraints but energy was flowing and very much alive thus they wanted to form a Chapter to continue working with us. For the three of us as trainers, this experience was very educational. Firstly, we wished we had youth with us in order for youth to really integrate with these youth. Jordanian youth express deep loving gentleness except when it comes to their political MidEast situation. The integration of spiritual perspectives with these religious youth would have been important for all involved. We learned that the Jordanian males hold a culture of honour and graciousness. The young women are expressive and active in society and cared for by the males of this culture. Our youth could learn from them as well. Integration of cultural perspectives and building of friendships. We learned how very powerful our work could be and how we must start to tease apart the components of our models with exercises. We learned that we could and did go above the differences and into our model for peace. It was and is effective even in the most difficult of situations where hate can rise up like a dragon at any moment. We were collectively able to create a loving atmosphere and feel PEACE for creating more PEACE . We could, with more time, do even greater work. We would like to take time for real action planning for social change. One story that stands out in my memory is meeting a man from Jerusalem who was the Manager of the Jail for the Palestinians and was here together with some of his former prisoners to make PEACE. In addition, there were members from a group who had suffered physical loss from both political side such as loss of a child, husband, mother or relative. They came together here to share and make peace. It was very hard on some and less on others. Some walked out. Some expressed hate. Some spoke with loving intentions. This is life in the MidEast. There were many explanations and many stories and many refugees wandering from one country to another. Our work is to unite and not focus on separations. In this loving environment we might be naïve but on the other hand we had visible proof of our potential to create peace from inside to outer…not by focusing on tolerance but on our higher understanding of oneness and love within each of us. The three of us TEAMING hope to continue this passage and work with more youth especially where they are now becoming a voice of a seeking uprising for change. We are a spirit/peace youth organization that works with youth around the world to create positive social action through local projects as well as organizing other youth.... translating our mission into a movement. Youth with proper skills and inner realizations could initiate a relevant transforming of society. We believe in peaceful changes that include skills in dialoguing with the "oppositional party" to create a holistic understanding and conversation. If you look at Mandela, King or Gandhi they each had methods that truly impacted not only their own country but also the world at large. We believe that embedded in all religions is a heritage of peace so it would be our purpose to uncover this and bring forward these memories. With these memories a youth movement that does not instill fear but rather love and compassion could stand out as a poignant movement. We are training young adults as well as leaders to learn these skills and then develop goals for social change and go into peaceful warrior action. The National Peace Academy offered its first Peacebuilding Peacelearning Intensive 2011 from July 17-23 at Champlain College in Burlington, VT. The National Peace Academy's Peacebuilding Peacelearning Intensive (PPI) was a one-week learning program for people who wish to create significant, meaningful and sustainable change in their communities. Americans are experiencing a period of change of historic magnitude. Political, business, social and community leaders are struggling to develop strategies and alternatives to address our severe economic decline and the degradation of civility in our public spaces. This struggle is also pursued by everyday citizens who are seeking opportunities to establish safe, healthy and sustainable communities in which people are able to live with dignity, free from violence, with assurances of the basic requirements of their security. In response to this urgent need to devise and advance the changes that may lead to these goals, the National Peace Academy is offering its first Peacebuilding. The 2011 Global Alliance Summit will be themed: “Ubuntu in Action”. Cape Town, South Africa is set to welcome approximately 200 delegates from countries from around the world. The opening ceremony on 2 October will coincide with commemorations of Mahatma Ghandi’s Birthday. The South African Peace Alliance, an NGO based in Cape Town, is part of a global initiative calling on governments to establish ministries or departments of peace, as three countries have already done, namely Costa Rica, Nepal and the Solomon Islands. It is envisaged that a South African Ministry of Peace, headed by a cabinet minister, will build a culture of peace, manage peacekeeping efforts, be involved in peace-building where there was once conflict, seek to achieve disarmament and convert military facilities to peaceful purposes, lead peace education and training; and ensure that we celebrate peace. The Global Alliance is a civil society organisation calling for the establishment of Ministries and Departments of Peace in governments worldwide. It is represented in approximately 40 member countries. The workshop was hosted by ManishaDahad, Founder of the Centre for Social Brilliance. We had a group of 10 people from different youth organisations come together, to share and co-create new levels of Social Brilliance. The ethos behind this concept is quite simple: “to create vibrant societies that enables the expression of every individuals' brilliance in the world”. The workshop consisted of discussion, meditative exercises, film and other media (documentary extracts, TED talks & socially brilliant campaigns). It was a very productive and impacting day for all, with many leaving with new ideas and ways in which they can integrate their social brilliance (which really came alive throughout the day) into their work and personal lives. If you are in London on 1 October consider participating in the next conference. See the website. The Teenage Interfaith Diversity Education (TIDE) Conference is planned and led by teens who want to have their voices heard and their presence felt as a positive force in the global community. A three-day event planned by fifty high school students of diverse backgrounds, the conference seeks to train teens to communicate respectfully and use their skills in discussions about highly charged issues; develop leadership and facilitation skills; and foster bonds and friendships among the youth in attendance that will continue after the conference. Conference attendees will participate in workshops, dialogues, and other activities throughout the weekend that allow them to discover more about themselves and their own understanding of personal identity; learn about the beliefs and identities of others; and make their voices heard at a conference that has been planned by high school students specifically for their peers. This is an exciting opportunity to see future leaders in action! Adults working with teens attend a parallel but separate adult track at the conference. The conference is sponsored by Interfaith Action, Inc. in collaboration with the Brudnick Center for the Study of Violence and Conflict at Northeastern University. • How can we design a sustainable world for tomorrow? • How can we engage ourselves for change without falling into the trap of Activism? • What can each individual contribute: through love and connection to Mother Earth and all living beings? • How can we cooperate and work together more constructively to effectively find solutions? • How do we learn to trust our heart, so that we meet the right people at the right time and together can live up to our potential – in a simple and natural manner? The NewEarthCamp intends to collectively explore these issues and other similar questions that face us in our modern world. 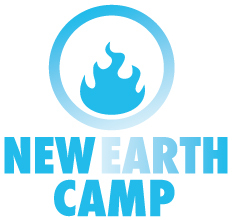 The NewEarthCamp is a thematic BarCamp: an “Open Space” event, the topics of workshops (sessions) and agenda will be brought in by those of you who join us! To Awaken the Leader Within. Leadership is a defining characteristic of any generation. Where it is created, innovation and change become real possibilities – and this November 6th & 7th at the Long Beach Convention Center Leaders Causing Leaders intend a groundbreaking experience which awakens the leader within. Leaders Causing Leaders are assembling leaders and visionaries, creating exhilarating panels from technology to social entrepreneurship to spirituality, arranging and hosting seminars and workshops with some of the great teachers of our time and celebrating this experience together with a Saturday evening conscious music festival. Join Karoline Buys our representative for this bold new step into the future of leadership. Hosted by Earth Focus, the conference will provide young people with the opportunity and space to discuss climate change and its implications for sustainable development with a range of invited experts and peers. By creating an informal but stimulating space for discussion the conference will encourage open and candid debate on the challenges that currently face humanity and the imperative need for active response. The conference aims to send a clear and unequivocal message to negotiators at Cancun that young people expect the planet’s protection be placed ahead of all other interests in order to reverse the worst effects of climate change in the short-term and ensure long-term sustainable development. A variety of participatory learning approaches and techniques will be deployed to encourage participants to engage with confidence and conviction in a range of workshop debates. An internet forum will facilitate contact and discussion between participants before, during and after the conference. 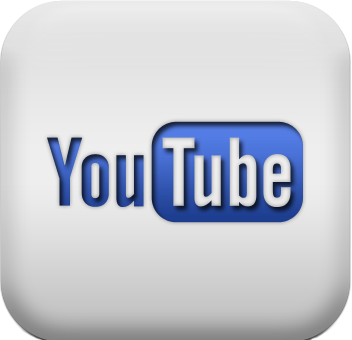 There will be a live video stream of the plenary sessions and videos of all keynote speaker presentations. Messages from the delegates at the youth conference will be collected and show-cased on the internet. Geneva is the ideal location for such an event, being a truly international city with a strong representation of United Nations agencies and other international organisations. the title "WALKING THE TALK – BRINGING INTERFAITH ACTION TO EACH TOWN IN EUROPE" and will take place at the Artemis Marin Princess Hotel, located on the seaside in Kumburgaz, near Istanbul. To lay a foundation to a real inclination in today’s civilization toward the Common Good and tolerant humanity. To accept the declaration and the program “To the world through spiritual culture”, to address the following issues: “The overcoming of poverty”, “The role of mass media in Campaign “To World through culture”, “About monitoring of social health”, and other documents. The main task of the forum is to summarize results of the research and practical use of innovational (noospheric) technologies in the cultural aspects of life, spiritual health of society, education, science, technology, and sports and to show a realistic way-out for civilization from the global systematic critical condition. From Children of the Earth will participate Nina Meyerhof, Karoline Buys, Sarah Dreyfus. 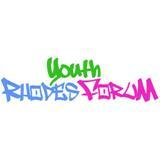 Six International Members of COE, Christian Marx and Mark Conrad from Philippines, Jimmy Lama from Nepal, Niklas Woschek from Germany and Karoline Buys from Colombia, have been invited to participate and give a presentation from the 03-06.10.2010 at the Rhodes Youth Forum in Greece, which will unite more than 100 active young people from more than 50 countries of the world, who are interested to find the clue to the question – what will the world be like in the future? The Forum participants shall discuss such issues as international youth projects, questions related to communication between generations, the impact of Internet and virtual worlds on society. It is expected that acting and former heads of states, governments of a number of countries, as well as public dignitaries, religious leaders and prominent figures from the world of culture and science will address the Forum participants. us but rather what we create. This is Our Moment of Choice. The theme of this years conference was 'In Search of the Virtuous Economy', with a wide array of related presentations from interfaith and interdisciplinary perspectives. Globalization for the Common Good seeks to offer a vision that positions the quest for economic and social justice, peace and ecological sustainability within the framework of a spiritual consciousness and a practice of open-heartedness, generosity and caring for others, by encouraging us all to know and to serve the common good. Sukirta Boonjindasup led the room in a Dharmakaya style meditation, Nina Meyerhof presented the history and vision of Children of the Earth, Kelly G.Ramer presented on current projects and the personal effect of the work on her life, Colins shared his history with the organization and his current COE affiliated projects in Nigeria, Susana reflected on what spiritually and socially conscious business models could look like, and Simon Anaya, spoke to his experience and closed with a poem. On May 16, thousands of peace-loving people at Fuji Sanctuary and around the world joined in lending their hearts and voices to the sixth annual Symphony of Peace Prayers. 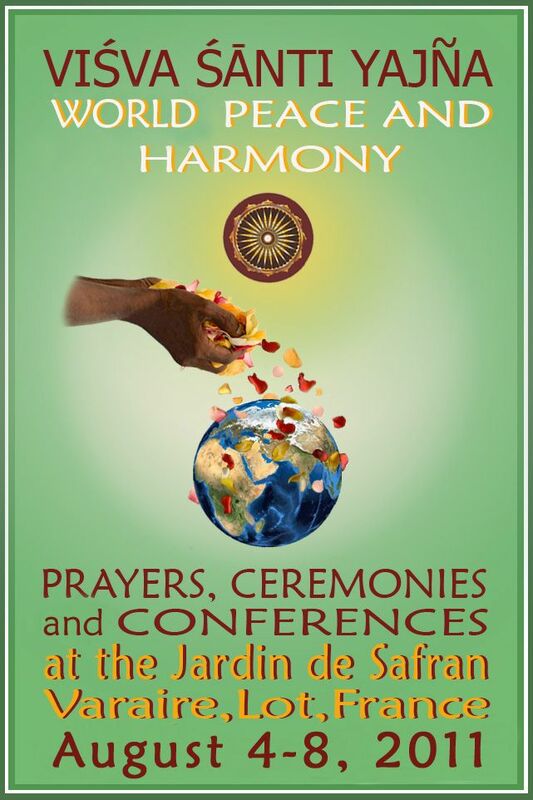 The Symphony of Peace Prayers (SOPP) is an inter-religious, inter-spiritual annual peace prayer event open for all. 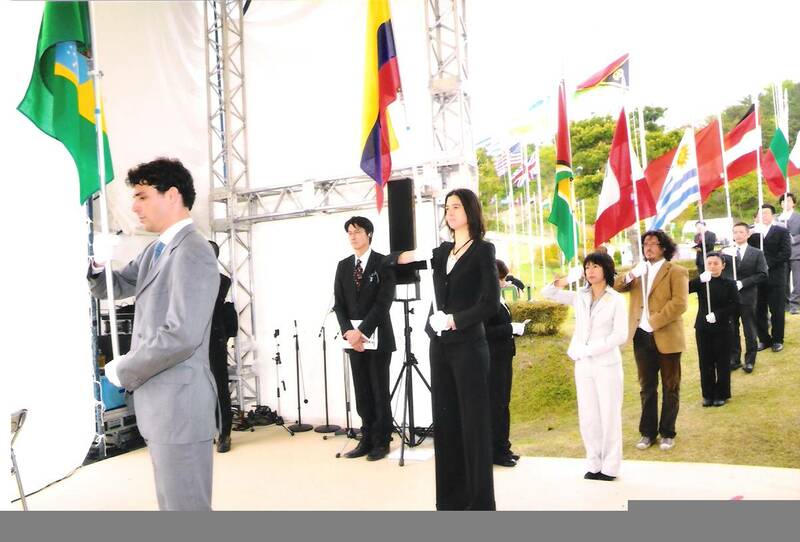 It was first held in 2005 at Fuji Sanctuary in Japan, hosted by Byakko Shinko Kai. We believe in the beauty of each peace prayer from different religions and spiritual faiths. So on this day we honor and give gratitude to all the beautiful peace prayers from different faiths, creating a beautiful symphony on this earth. We are spreading waves of peace, harmony, light and love to all corners of the earth, elevating the consciousness of all humanity, so that peace may be realized as soon as possible. Since its inception in 2005, the SOPP has grown into a worldwide grassroots movement for peace, interfaith harmony, and the evolution of humanity’s consciousness. This year, in addition to the large-scale ceremony held at Fuji Sanctuary, local SOPP ceremonies and various global link gathering were held in more than 50 countries around the world. International Members of Children of the Earth that took part in the SOPP were Karoline Buys, Augusto Cuginotti, and others. This working retreat was organized by the Global Peace Initiative of Women and Dharma Drum Mountain Buddhist Association. It was a lovely gathering in a very peaceful and beautiful place. Approximately 40 youth and 10 mentors attended. We spent time reflecting on our role in climate change and environmental degradation, as well as what possible ways could we actively engage in raising consciousness about this extremely important issue to us all. One of the most valuable teachings was that root of this problem is so deeply rooted in our cultural paradigm of disconnection from each other and the earth that there must be a large scale inner consciousness shift to address the wounds that have manifested so deep and painfully in the exterior world. After months of preparation; youth and elders representing Children of the Earth finally gathered in Melbourne on the 3rd of December for the World Parliament of Religions. This was the 5th time the conference was held in Melbourne since its beginning in 1893, and there were 1000s (if not tens of thousands!) participants from all over the world. We immediately shared updates from our lives and exchanged gratitude for having each other for our spiritual nourishment, and to be together for such a phenomenal gathering! Only one of a few youth centered events was hosted by World Spirit Youth Council and Children of the Earth. We reached out and called youth from around the world to heed to the evolution of youth spirituality and activism for achieving higher consciousness in their lives. WSYC members: Yuka Saionji from Japan, Colin Lee from Australia, Worakate Thangsarbul (a.k.a. Ping Ping) from Thailand, Jimmy Lama from Nepal , Karoline Buys from Colombia/Germany and Cherry Henderson from Australia presented a PowerPoint and spoke of each of our understandings of the role of spirituality put into action in our local communities. Educating participants to come up with innovative, proactive solutions to partake in addressing the issues of peace, climate change, sustainable lifestyle, renewable energy and entrepreneurship among others. Empowering the youth who are and will be parents and the leaders of the future generation in politics, schools, and business among others. Promoting life-long education by creating a circle within which we are both teachers and students using the unprecedented power afforded to people through technology. Extending that power and knowledge from person to person, without constraints or boundaries. From Children of the Earth and World Spirit Youth Council participated Colin Lee from Australia, Jimmy Lama of Nepal, Ashfaque Hussein from Pakistan, Maria of the Philippines, Aya of Japan, Sarah Dreyfus of Switzerland. 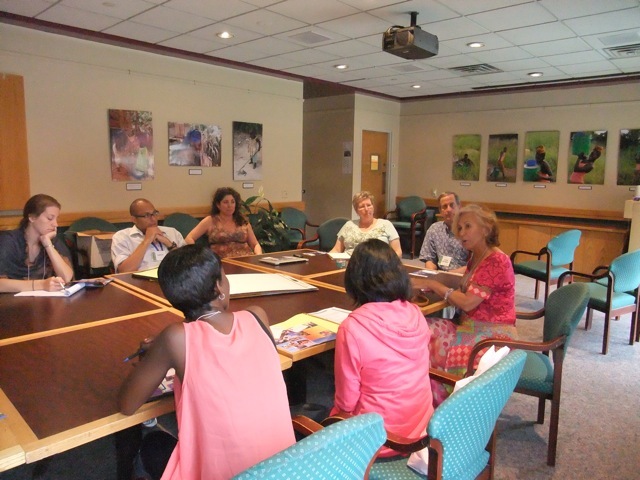 During the 2009 Interfaith Conference of NAIN COE International Members offered a workshop. This workshop was meant to help the audience understand that interfaith is one means of integrating and developing acceptance for peaceful co-existence. To further this understanding it is important to develop a universal code of ethics as well as examine what is “spirituality”. The youth representatives of World Spirit Youth Council, Mark Harris and Joshua Gorman, shared our charter of Principles and Code of Ethics and discussed Spirituality. This group, guided by Dr. Meyerhof, also illustrated the potential of how it is to develop sequential processes that bring youth together igniting their personal desire for activating spirituality into form for creating peace projects for their communities and the international arena. The youth shared their personal stories of going beyond interfaith and finding their common family. They created small groups for the purpose of helping others begin this process using words of clarification, drawing and movement. Youth as the future shared their dream…..our dream…..the dream to Be a better humanity for a more equitable world where every life counts.